When I was asked to help promote the Sport Brella, I got really excited. It's the perfect, portable shade spot. I can't tell you how many times I have wished for just the thing, not even knowing the Sport Brella existed. At football games, picnics, the beach. Now that I'll have a bebe, I'll be even more conscious of the sun even when it might not be that hot. I think the Sport Brella and I will become good friends. I took it on vacation with me, but left my memory card at home and never got a good shot, but let me tell you - I loved it and so did the kids. When we took it to the beach I took a drink cooler that stayed under there with me and so the shade of the Sport Brella became the cool off spot. It was nice. Also, it was very easy to carry & set up. Just a few stakes and it was set to go. When I set it up in the yard, the stakes were super easy and it would still be there now if I hadn't taken it down. We even had a random cat come find shade there many times. It's good stuff. I can think of so many time the Sport Brella would come in so handy. A beach umbrella, sun tent, rain shelter and more. On the sidelines or at the beach, the Sport-Brella gives you instant portable protection from the sun, rain, and wind with UPF 50+ quick shade protection. It sets up in just three seconds and fits the family or the whole team. Opens to 8' wide for plenty of sun shade. •Includes convenient carry bag plus tethers and ground stakes for extra stability. I LOVE the Sport Brella from . Stay cool, stay dry, stay protected. You can purchase the Sport Brella in three colors or the Sport Brella XL for a little more coverage online at http://sport-brella.com/ but I am seeing the Sport Brella pop up everywhere! One LUCKY winner will receive a Sport Brella of their very own! Visit Sport Brella and tell me which color of Sport Brella would help protect you and where & become a friend @ Wishing Penny via Google Friends Connect :) Both parts mandatory to win - thanks. *Follow me @jamaise at Twitter & Tweet this : RT @jamaise #GIVEAWAY #WIN - a SKLZ ~ Sport Brella ~ portable sun & weather shelter http://bit.ly/baiyL6 ENDS 8/5 tweet each day for one entry each ! Disclaimer: Sport Brella provided me with a free sample of this product to review, and I was under no obligation to review it if I so chose. Nor was I under any obligation to write a positive review or sponsor a product giveaway in return for the free product. These views are my own. I love the Sport Brella! I see them every time we have a sporting event for the kids. I want one in red to shade me and my hubs at swim meets. It's soooo hot!!!! I would like a blue one to use in my yard. I like blue the best. I would use it at the lake. Thanks! 1. Fan of SKLZ on facebook. 2. Fan of SKLZ on facebook. 1. Fan on Shade on facebook. 2. Fan of Shade on facebook. 1. Posted the giveaway on the SKLZ facebook page. 2. Posted the giveaway on the SKLZ facebook page. 3. Posted the giveaway on the SKLZ facebook page. 1. Posted the giveaway on the Shade facebook page. 2. Posted the giveaway on the Shade facebook page. 3. Posted the giveaway on the Shade facebook page. 1. I'm your blog follower through Google. 2. I'm your blog follower through Google. 3. I'm your blog follower through Google. I entered the Vera Bradley giveaway also! I would love a red one for shade at the beach. I like the red one and we'd use it at the lake when we go camping. I follow you via gfc. I 'like' SKLZ on fb (Lanan Ray) (1). I 'like' SKLZ on fb (Lanan Ray) (2). I 'like' Shade on fb (Lanan Ray) (1). I 'like' Shade on fb (Lanan Ray) (2). I follow you @jamaise and tweeted (ladystingray001). I would choose the blue SKLZ Sport Brella! These look so cool, I really hope I win this one! I would love the red! I'd take it with us when we go to the beach. It would be perfect! i'd like the green one for using in the backyard, and i'm a friend @ Wishing Penny via Google Friends Connect -- thank you for the chance! follow you via GFC and I would love the blue to protect us on the beach! 2. I follow your blog on GFC. 3. I follow your blog on GFC. 1. I entered Gourmet Body Treats GIVEAWAY. 2. I entered Gourmet Body Treats GIVEAWAY. 3. I entered Gourmet Body Treats GIVEAWAY. I would like the Sport Brella in Green. 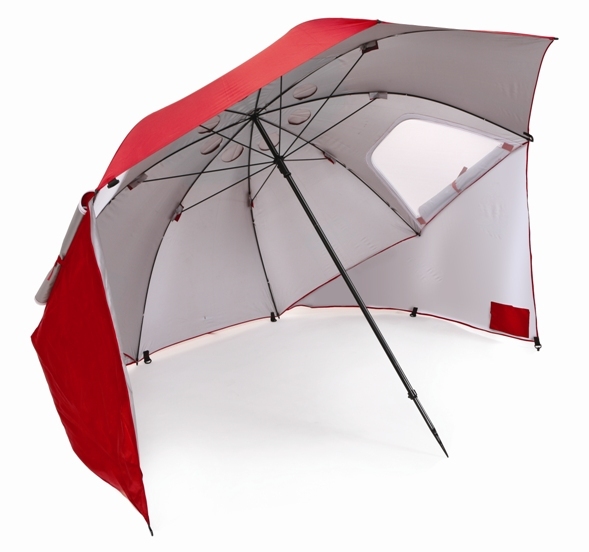 I would luv the Sport>>Brella Large Group Umbrella I cannot be ib the sun and this would be great for the family!